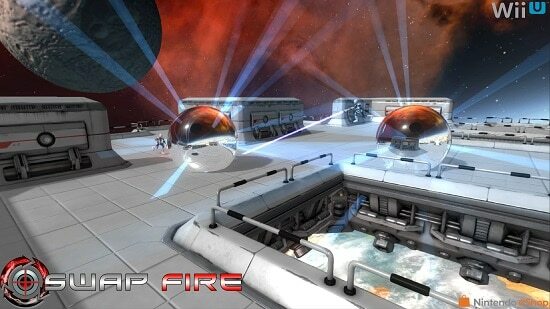 For a limited time, you can download the ‘Swap Fire’ Wii U Game for FREE! Simply click the ‘Download’ button to get it. Your Nintendo Account must be linked with the Nintendo Network ID for your Wii U system. Swap Fire’s a shooter with a literal twist. Shooting other players rips a hole in spacetime thus swapping your locations. You’ll have to commit to losing in order to win in Drop Zone, manage spacetime to dominate the map in Control Point, master the art of teleportation to go for the gold in Swoccer, and much more!